Beauty is indeed the fiber that binds the soul of the 223′ (68m) Lurssen GLOBAL. Propelled by an owner intent on producing a masterwork of lasting impression, the collaborative efforts and creative will of naval architect Espen Oeino and interior design by Pascale Reymond springs to life as you take in each of the GLOBAL’s glorious decks. The sharp curves and soft angles that fuse the boat’s poetic exterior, complemented by an elegant interior that both subtly and strikingly blends elements of Art Deco and Persian décor, invite you to celebrate grand adventures and discover new worlds. Within this brilliant machine operates a remarkable five-star-plus hotel. As her owners intended, a specialized crew provides top-notch service, exquisite cuisine, soothing spa treatments, and incredible water and land activities, offering guests all of the pleasures they can imagine. 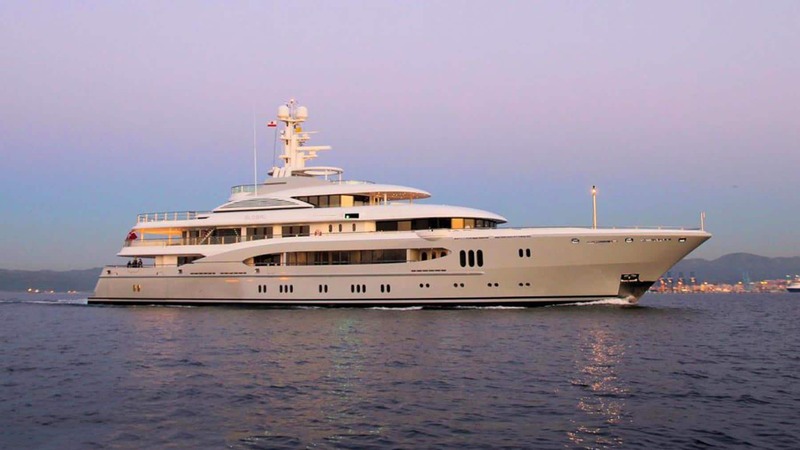 Moran Yacht & Ship negotiated the build contract for GLOBAL (as KISMET), wrote the technical specifications and managed the entire build process for the vessel. Our team was by the owner’s side from concept well through completion.